National Days – Page 8 – every day's a holiday! Today, May 15, is Paraguay’s Independence Day. The Rio Paraguay winds across 1500 miles of Brazil, Paraguay and Argentina. Its both the source and outlet for the Pantanal wetlands, the largest tropical wetlands in the world, and, due to its Amazonian neighbor, one of the most overlooked. The river divides Paraguay in half, giving the country it’s name and its lifeblood. Paraguay is a landlocked country, one of only two in South America. Like the Pantanal wetlands, Paraguay has been overlooked by the world in favor of its larger and more accessible neighbors like Brazil, Peru, and Argentina. The first European to reach the Paraguay River (and live to tell the tale) was Alejo Garcia. After being shipwrecked on the coast of Brazil he lived for 8 years with a tribe who told him of a great “White King” out West on a mountain of silver. Garcia traveled inland to what is now Paraguay, where he recruited 2000 Guarani to fight who would turn out to be the Incas. They stole vast amounts of gold and silver from the Empire, but Garcia was killed on the way back to Brazil. Word of the city of silver and gold intrigued the Spanish, who initially took interest in Paraguay as a centerpoint of their South American empire. 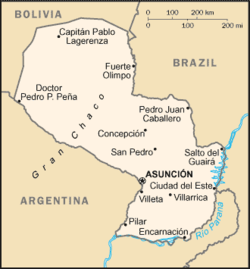 But interest in the area around Asuncion soon waned in favor of Lima and Buenos Aires. The settlers elected the Basque Domingo Martinez de Irala governor of the colony. Irala was considered a humane leader and a tough governor, who gained the respect of both the natives and the colonists. But he conceded to settlers’ demands for the parceling of land and conscripted Indian labor to the settlers, a system which eventually degenerated into near-slavery conditions. Elsewhere in South America this system yielded profits for the Spanish government. But Paraguay was not a farming society like Peru. The Guarani were hunter/gatherers, not farmers. Friction increased between the descendants of the settlers and the Spanish government. Spain’s economic policies and consistent downgrading of Paraguay’s importance deepened the colony’s impoverishment. In 1617 when the colony was split into two–Asuncion and Buenos Aires–Paraguay lost control of the throughway to the Atlantic via the Rio de la Plata. There was also friction between the landowning Mestizos and the Jesuit missionaries. For 150 years the Jesuits organized the Indians to block the attempts at forced labor. In the 1720s the Paraguayans rebelled against pro-Jesuit Spanish leaders, and the Jesuits were eventually expelled. To the Paraguayans, the final blow came in 1776 when Spain officially put Paraguay under control of Buenos Aires and Argentina. The Napoleonic Wars hit Spain hard in 1808. Spain lost the ability to control its colonies, and in 1810 Argentina overthrew the Spanish government in Buenos Aires. The Paraguayans followed suit on May 14, 1811 with a coup that overthrew the Spanish governor and affirmed the separation between Paraguay and Argentina. The following day the new government elected its first president, 45 year-old Gaspar Rodriguez de Francia. And the Lord said to him: this is the land that I promised to Abraham, to Isaac and to Jacob in these words: I will give it to your descendants.I have allowed you with your own eyes to see it, but you will not pass into it. Today marks the 60th anniversary (in the Jewish calendar) of the signing of Israel’s Declaration of independence. The document speaks for itself. ERETZ-ISRAEL [The Land of Israel] was the birthplace of the Jewish people. 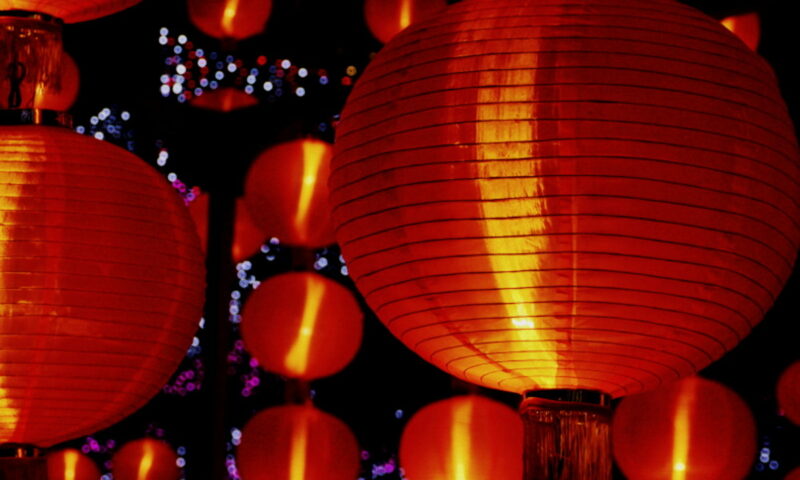 Here their spiritual, religious and political identity was shaped. Here they first attained to statehood, created cultural values of national and universal significance and gave to the world the eternal Book of Books. Impelled by this historic and traditional attachment, Jews strove in every successive generation to re-establish themselves in their ancient homeland. In recent decades they returned in their masses. Pioneers, ma’pilim and defenders, they made deserts bloom, revived the Hebrew language, built villages and towns, and created a thriving community controlling its own economy and culture, loving peace but knowing how to defend itself, bringing the blessings of progress to all the country’s inhabitants, and aspiring towards independent nationhood. May 3 is Constitution Day in two countries on opposite sides of the globe. The 1997 Constitution was a response to Poland’s changing position in the world, from a one-party socialist state under the control of its powerful neighbor, the Soviet Union, to a multi-party independent state. So you’re probably thinking, No military? I could go over there with a dinghy and a BB gun and take over the country! Japan’s Constitution Day falls right in the middle of “Golden Week”, a congruence of four holidays, beginning with Showa Day (April 29) and ending with Children’s Day (May 5). Today is Freedom Day in South Africa, a country that doesn’t take freedom for granted. Freedom Day celebrates South Africa’s first democratic elections, held on this day in 1994. Voting began on April 26, for the elderly, the ill, and pregnant women. The general election was held from April 27 to April 29, and was open to all South Africans 18 and older, regardless of race. Prior to the election, non-whites had limited voting rights. Under the apartheid system that ruled the country since 1948, voting was essentially restricted to white South Africans. That’s not to say there were free elections before 1948. The Dutch East India Company established the first “refreshment station” on the Cape in 1652. In the 19th century, British settlers arrived in increasing numbers, and black rights gradually eroded. Blacks and Indians were excluded from government in 1910, when the Union of South Africa was formed. Later laws required black South Africans to carry special passbooks and banned them from owning property outside of certains “reserves”. These reserves made up only 13% of the land area of South Africa, despite the fact that blacks made up an overwhelming majority of South Africa’s population. 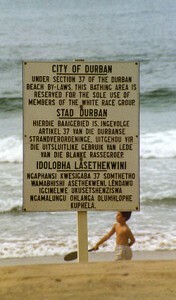 After the National Party came to power in 1948, several laws restricted rights even further: the Prohibition of Mixed Marriages Act of 1949, the Immorality Act of 1950, the Population Registration Act, and the Group Areas Act, which forced black South Africans to move out of neighborhoods that were designated as “white only”. Future laws segregated virtually every aspect of South African life, from elementary schools to swimming pools. 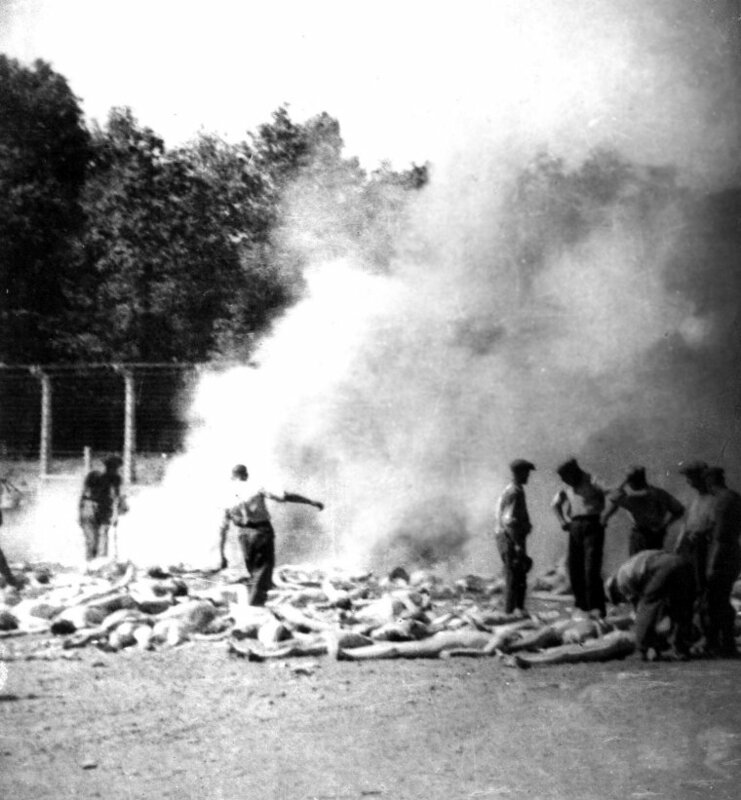 No one event brought about the end of Apartheid. The struggle combined international pressure from both governments and corporations, economic sanctions, internal boycotts, and other forms of resistance. Apartheid laws fell one by one, the African National Congress was reinstated as a legal organization, and in 1990 Nelson Mandela was released from prison. Mandela became the first black President of South Africa after the election of 1994. He was inaugurated on May 10. Every year since, South Africa has celebrated April 27 as Freedom Day. Others call April 27 “unFreedom Day”, using the holiday to comment on the sharp divide between the rich and poor still all-too evident in South Africa. The legend of St. George has been heralded around the world ever since the publication of The Golden Legend, a compilation of the lives of saints, which took for fact the mythic tale of St. George and the Dragon. All that we really know for sure about St. George is that he was a soldier in the Roman army at the end of the third century AD, he was apparently of noble birth, of Christian parentage, and he was executed on the orders of Diocletian on April 23 in the year 303 in Palestine. 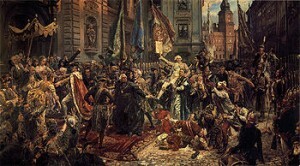 It is believed the reason for his execution was his protestation of the persecution of Christians. Fifth century documents indicate that he was imprisoned, tortured–in an effort to force a renunciation of Christianity–and beheaded when torture proved ineffective. Much that we previously thought to be fact about George may have been the result of confusing him with other Georges. His birth in Turkey in 270 may have actually been that of George, Bishop of Cappadocia who lived around the same time. Before he was the patron saint of England, George was already the patron saint of soldiers, rumored to have been seen fighting alongside Crusader forces in the Battle of Antioch in 1098. Richard I later declared his Crusading army to be under the protection of St. George’s watchful eye. George slays the dragon, frees the townsfolk, and wins the girl. The story may have been the result of the retelling of George’s defiance of Diocletian, symbolized as a satanic demon or dragon. About the time of Golden Legend, St. George became the Patron of the Knights of the Garter, and later of all England. Okay, well, maybe not so happy. “The first decade, 1980 to 1990 was superb for everyone, there was an independence euphoria, things were moving. Then 1990 to 2000, people started looking at what they had actually achieved from independence, scrutinising things like corruption. And then after the land reform in 2000, things just went down”. Zimbabwe is a land-locked African nation sandwiched between Zambia, Botswana, Mozambique, and South Africa. Sadly, as the above quote suggests, they didn’t even know how to spell labor. Education was a big problem back then, and the disparity was rampant. Rhodesia spent ten times as many education dollars on whites than on blacks. In other words, you pretty much need a Ph.D. to work at Coco’s now. 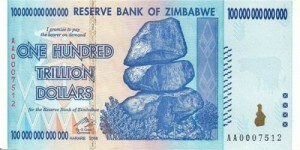 Zimbabwe also suffers from hyperinflation. It made news in early 2009 when the government printed what may be the world’s first $100 trillion bills. A 1 with 14 zeroes in case you were wondering. But if you find one on the street, don’t go on a spending spree. It was worth about $30. Shortly thereafter, the government changed the currency system by removing 12 zeroes from the dollar, so that $1 trillion now equalled $1 Zimbabwean. Though it saved a lot of zeroes, it was a moot point, as Zimbabweans stopped accepting/using the ZD and now use foreign currencies for transactions. Some blame President Robert Mugabe for the country’s problems, but to be fair, he has only been in charge of the country for the past three decades. President Mugabe’s life is the stuff of legend. Born in 1924, he was a leader of the independence movement. He spent 11 years in prison for speaking out against the colonial government, during which time he earned three degrees, including a law degree. After independence, in which he played an instrumental part, he was elected the country’s first Prime Minister, and later President. Since then however, his critics insist his reign has exhibited symptoms of Saturday Night Live skit syndrome. A good idea gone on about 20 years too long.